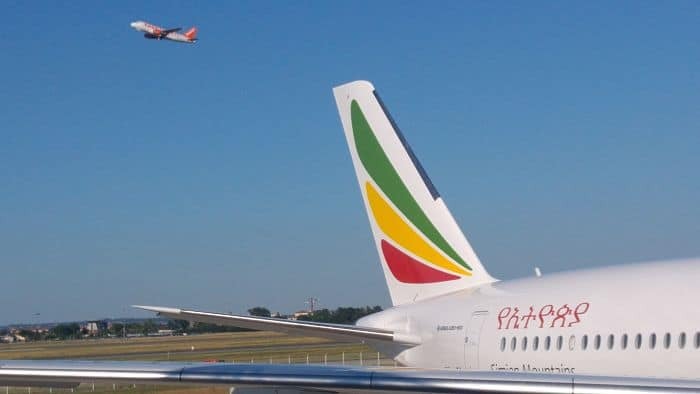 Blagnac, June 28th – The first A350 XWB delivery to Ethiopian Airlines, a fast african growing company. 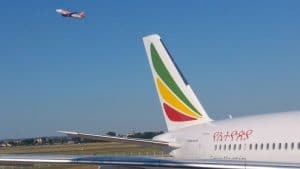 Tewolde Gebremariam, CEO of Ethiopian Airlines, was in Toulouse for the delivery of its first A350XWB, and said that Ethiopian group launched in 2010 a 15 years plan, named Vision 2025, aiming to boost the airline to an international level. That’s why the fleet was renewed in order to reduce operating costs and to offer the best comfort to the passengers. Upgrading its competitiveness, Ethiopian is ordering 13 more A350-900, 8 Boeing 787-8/9 and 20 Boeing 737MAX-8. 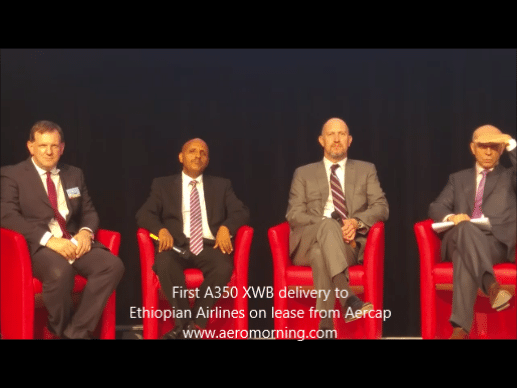 Be the first to comment on "The first A350 XWB delivery to Ethiopian Airlines"